The meandering thoughts of a wandering wildland firefighter. Today I updated the address of my Flickr page to be a bit easier to remember. Not much in new pictures recently, but I’m sure as the summer progresses I’ll be adding a lot more. I’m going to be making an effort to be better about taking photos every day or at least every week this year. It probably won’t result in that many more keepers, but it should allow me to better document things in photos, which I’ve not been really great at in the past. It’s been a slow and mellow weekend here in Boise. Talking with friends and family back in Montana it seems that it’s still full-on winter at times in the Seeley Lake and Swan Valley areas – pretty hard to believe after being down here for a month after my winter layoff. Here in Boise it’s well on it’s way towards spring, and we’re even starting to plan for early-season prescribed fires at work. Fire season will be here before I know it, but I’m going to try and enjoy the slow period before things ramp up. In my personal life, things are plugging along. I had a few things happen last week that are leading me to believe things are hopefully looking up, although I have to remind myself to be patient, that creating positive changes takes time. I fully believe that I’m going to have a better season than last year, and I’m looking forward to going into next winter having exorcised some personal demons and made some strides towards the things I want in life. The things I want are pretty simple, really: 1) A job that pays the bills; 2) Good health; 3) To live close to friends and family; and 4) The love of a good woman. I’ve done pretty well with items 1 and 2, but 3 and 4 have so far thrown me for a loop. I’ve spent countless hours in my darker moods wondering why it has been so difficult. There’s no single answer of course, and reflection isn’t very helpful at this point, but still my mind searches for explanations if I let it. All my adult life I’ve struggled with being happy where I am, with growing where I’m planted. It’s taken its toll, as I’ve never felt settled anywhere other than Missoula. I keep subconsciously hesitating and self-sabotaging relationships in the hope that I’ll be back there soon, yet as of this spring it’s been four and a half years since I left. Not a long time by any means, but long enough. 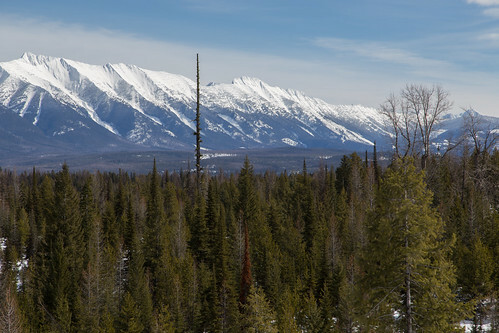 What drives my desire to be in western Montana? Why have I been so deeply opposed to making any emotional ties anywhere but Missoula? This has been the single strongest factor, I think, in my failure to put myself out there and build more relationships. But why? Is it all in my head? Is it some deeper, spiritual signal? Is my soulmate there? Or is it just a strange attachment that I need to work through and get over? A part of me thinks that perhaps my anchor is in western Montana. Over the years I’ve spoken with, and read about, many people who had a strong connection to a place that they felt was an anchor for their lives. Bud Moore, longtime Forest Service leader and author of The Lochsa Story had his connection in Lolo Creek and the Lochsa country. Norman MacLean, author of A River Runs Through It and Young Men and Fire had his in Seeley Lake and the Big Blackfoot country. Just maybe I’m so connected to that landscape, emotionally, spiritually, and physically, that no matter where I am my heart is there. And while I occasionally contemplate trying to cut that tie, sometimes I wonder if what keeps me grounded and focused is that very anchor. To use the seafaring analogy, perhaps without that anchor I’d be adrift on an ocean of uncertainty, wandering aimlessly. Or perhaps I’m being wildly irrational about it all. What I do know is that for good or bad, real or not, I desire to return to western Montana, its wide valleys, sparkling rivers and glassy lakes, its snow-capped mountains, and its occasionally eccentric residents. Whether that desire comes to pass remains to be seen, and maybe it won’t for some time. So for now I sit in the desert-like foothills of the Boise Mountains, on the edge of the Snake River Plain, and gaze northwards from time to time, trying my damnedest to be content with my lot, and be happy where I am. I'm an amateur photographer, wanna-be writer, tech aficionado, and a classic introvert who values quiet time as much as I do the mountains and people of the Pacific Northwest and Northern Rockies.